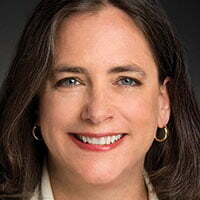 ABC News in the US has appointed Beth Hoppe, chief programming executive at PBS, as its senior VP for longform. Hoppe will take up the newly created position at ABC News next month after just over six years with the US public broadcaster. The exec will oversee all of ABC News’ longform programming, as well as non-fiction production arm Lincoln Square Productions and primetime news magazine show 20/20. PBS’s president and CEO Paula Kerger and chief operating officer Jonathan Barzilay will work with the pubcaster’s programming team until a replacement for Hoppe is named, according to US reports. Hoppe’s tenure at PBS saw her oversee the launch of factual programming such as Ken Burns’ The Vietnam War and The Roosevelts, as well as period drama Mercy Street and numerous nature and science specials produced with the BBC in the UK. Prior to joining PBS in 2011, Hoppe was an executive producer at Discovery Studios, which she joined in 2009 having previously been president and CEO of Optomen USA, the New York-based arm of UK production outfit Optomen.